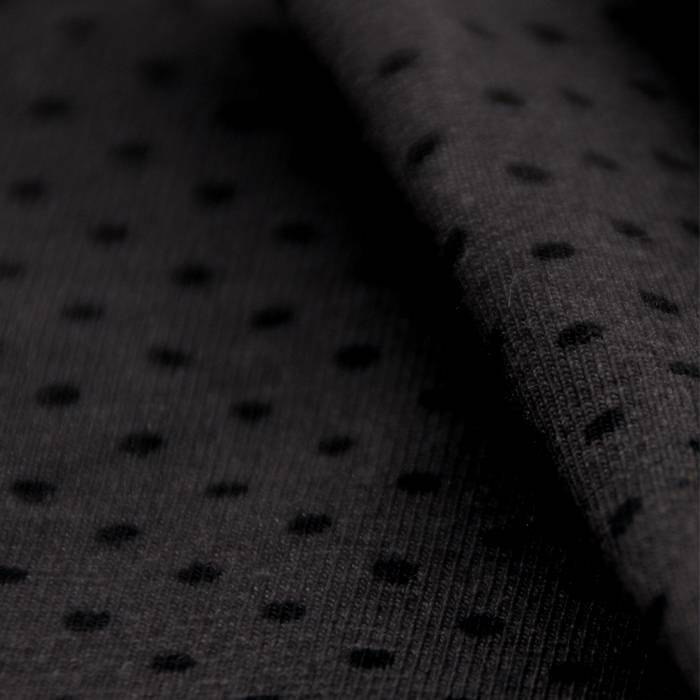 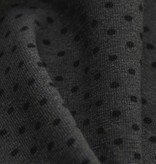 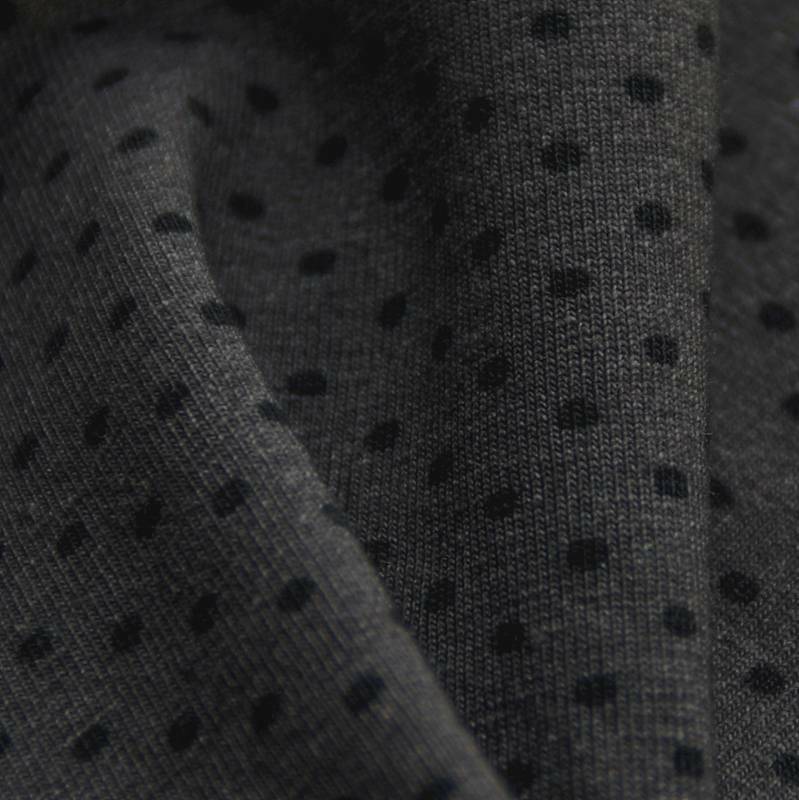 Single jersey made of organic cotton and 5% elasthan, grey with black dots. 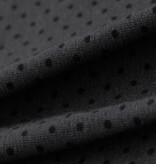 The fabric has been printed digitally, the grey colour as well as the grey dots. 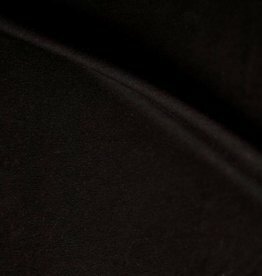 The fabric is very suitable for t-shirts, skirts, dresses, kids clothing and can very well be used for nice details with the black single jersey stretch. The fabric is GOTS certified.